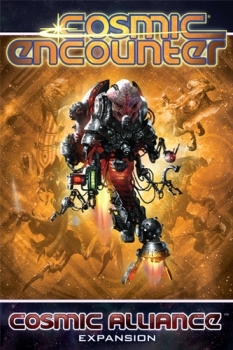 The third expansion for Cosmic Encounter, brings 20 new (and classic) alien races to the game. Players will now stand petrified by the Gorgon, be baffled by the Schizoid, and feel obsolete before the Cyborg. Cosmic Alliance introduces a new variant – team rules, which allow steadfast allies to dominate.